Understanding the ongoing processes at the plant level is crucial in a manufacturing organization. When there is visibility into shop-floor operations, the performance of the company’s assets across the enterprise becomes effective, resulting in reduced manufacturing costs and satisfied customers. Evidently, manufacturing intelligence solutions have come to fore in improving the efficiency and productivity in the realm of manufacturing. Amongst the plenty of advances on the horizon, manufacturing intelligence is touted as the biggest driver of the trending Industry 4.0. Technologies like cloud, mobility, and big data are contributing significantly to strengthen the solutions and bring machine intelligence and its capabilities within reach of enterprises. Mobile technologies, in particular, are eliminating the need for on-site displays by allowing shop-floor visibility from any mobile device instead of solely depending on on-site dashboards and displays. This enables users in any job role to access real-time information or receive alerts from any device and any location, improving the response time for adverse events and facilitating decision-making. SaaS capabilities are also swiftly emerging with promising capabilities like automatic software updates, universal remote-access, and built-in disaster recovery. 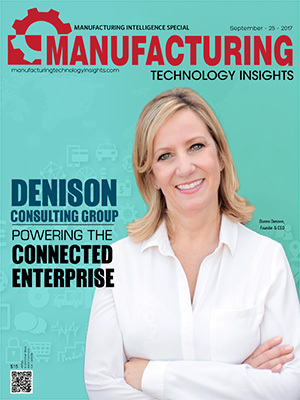 Manufacturers are partnering with solution providers to streamline their reporting system, automate operations, reduce implementation time, generate numerous reports, and efficiently solve issues. The expectation continues to soar for enhancements like deployment of current data, improved data handling capabilities, multiple servers support, and customized query handling. 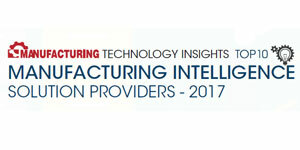 To help CIOs navigate this flourishing landscape, Manufacturing Technology Insights’ distinguished panel of selectors, comprising CEOs, CIOs, VCs, industry analysts along with the editorial board, has reviewed several companies that exhibit a proven expertise in assisting manufacturing organizations with their manufacturing intelligence solutions. 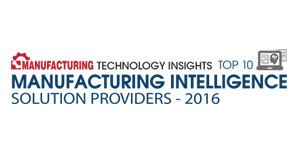 We present to you Manufacturing Technology Insights’ Top 10 Manufacturing Intelligence Solution Providers - 2017.